When the consciousness is narrow and personal or shut in the body, it is difficult to receive from the Divine - the wider it expands, the more it can receive. A time comes when it feels as wide as the world and able to receive all the Divine into itself. The broadening should not be the result of an instinctive impulse but of a conscious organisation. 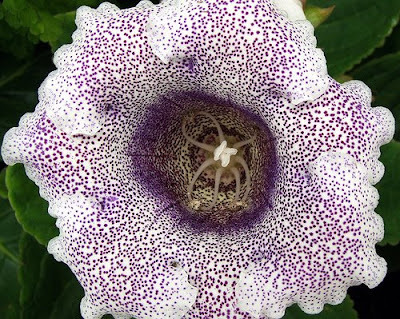 Showy medium-sized single velvety bell-shaped white flower with numerous purple dots and with a spreading limb divided into five to twelve lobes with ruffled edges; borne singly or in small clusters on long stems. A low tuberous perennial herb with broad pubescent leaves. The limitations of the ego begin to be shaken. 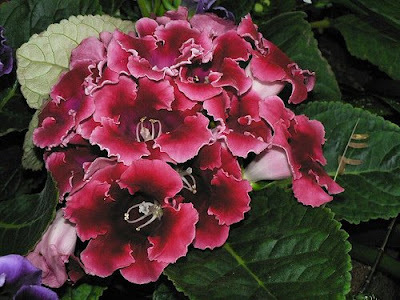 Showy medium-sized single velvety purple bell-shaped flowers with a spreading limb divided into five to twelve lobes with ruffled edges; borne singly or in small clusters on long stems. A low tuberous perennial herb with broad pubescent leaves. It opens and widens itself in order to receive better. 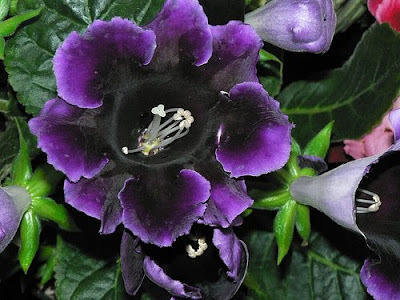 Medium-sized fragrant purplish blue downy campanulate flower with a darker throat, borne singly from the leaf axil on a sparse terminal raceme. 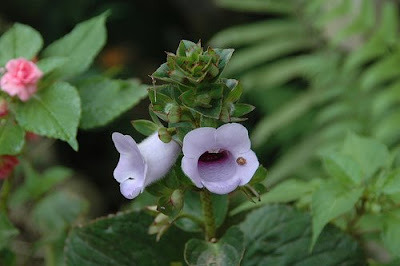 A rhizomatous perennial herb with fleshy spotted stems and waxy heart-shaped leaves.